in different sessions and time slots, so you can choose which one to attend. Wikipedia explains it nicely: Open Space is a participant-driven process whose agenda is created by people attending. Your preparation: good mood, interactive mind set and lots of ideas. See you the 21th of February! Bio: By never shying away from asking questions, getting his hands dirty and digging in deep, Jeroen found that he could make a real and lasting impact on people, products and processes. His unconventionally diverse background and eagerness to learn provide Jeroen with an eclectic skill set he loves to exploit. With a focus on nurturing growth through coaching, training and facilitation he helps to identify or kindle a few sparks and tends them in to a blazing fire. Are you organizing Agile Open Space (evening)? 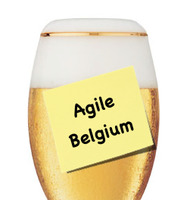 Are you an organizer of Agile Open Space (evening) ?